ERGOBaby Carriers from $88 with Free Shipping! Right now, Drugstore.com has ERGObaby carriers priced from $105 with FREE shipping. Even better, new Drugstore.com customers will receive $10 off their orders of $50 or more, bringing the price down to $95. PLUS, Ebates is offering a whopping 8% cash back on your purchases from Drugstore.com, bringing your final price down to $87.40 after the discount and cash back! Bonus: New Ebates members who sign up through this link will also get $5 cash or a FREE $10 gift card for Target, Barnes & Noble or Home Depot! Search for Drugstore.com in the search box in the upper right corner of the screen. Click on the text that shows Drugstore.com 8% Cash Back To get to the Drugstore.com Online Coupons and Coupon Codes page. Click on the orange Shop Now button to accept the $10 off offer and shop at Drugstore.com. Search for ERGObaby in the Drugstore.com search box. 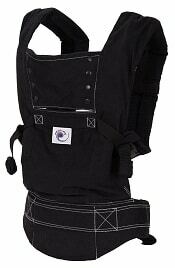 Select the ERGObaby – Baby Carrier to view the color/price selection. You'll find that the carriers in Black/White and Black/Camel are priced at $105. Those are the the lowest-priced designs. Take a look at the other colors and prices and add your selection to your cart. Go to checkout and complete your order.